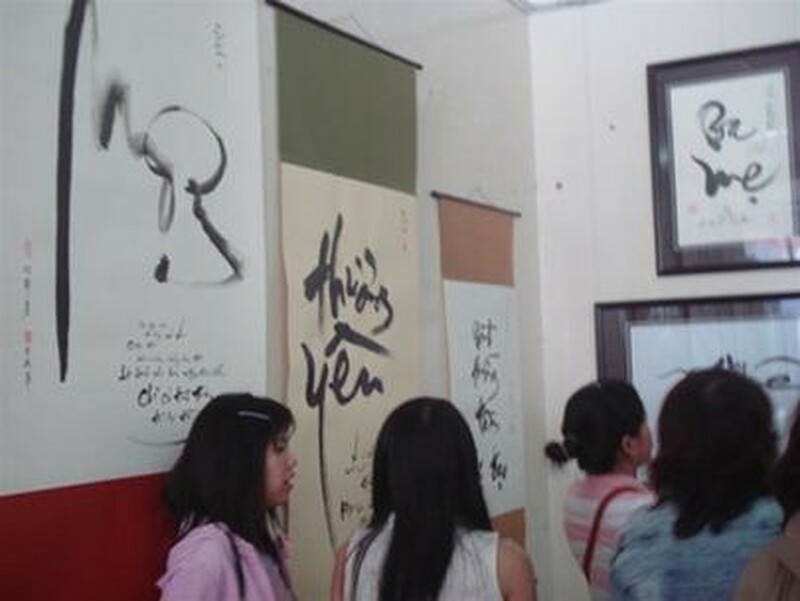 More than eighty drawings by the renowned calligrapher Nguyen Luan are on public display in the Central Highlands town of Dalat until May 14. The exhibition at the Dalat Exhibition Information House is called “Fragrance Comes from the Brush” and is the result of Luan’s labors since the beginning of the year. His inspiration comes from famous sayings, poems and literary works from all over the world. Calligraphy means “the art of writing” in Greek. Originating in China, calligraphy made its way to Japan, where it was imbibed with Zen, and also spread south to Vietnam, a land where “life becomes art, and art becomes life”. Here it was simplified to make it more popular. When the first wave of Western culture came to Viet Nam with the French in the late 19th century, calligraphy began to fade. Feeling sorrow for the decline of the art of writing, a poet of the time wrote, “Sorrow fades the pink, and sadness drains the ink”. In recent years, this valuable tradition of Viet Nam has been revived to regain some of its former prominence. A love of calligraphy among elderly scholars is once again being handed down to younger generations. Moreover, a new trend has developed within the reincarnation of the old ways of Vietnamese calligraphy. Latin characters have replaced Chinese characters to a degree and made the elegant art form more appealing to the general public.